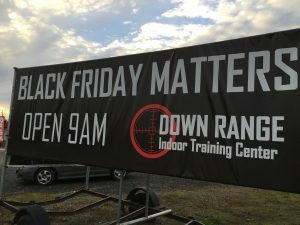 The billboard stating in white lettering on a black background, “Black Friday Matters,” was for Down Range Indoor Training Center co-owner Steve Dyke a clever piece of Black Friday marketing that placed his gun shop in the news and public eye. But for many of the Chico-area residents who called the shop to protest the word play on Black Lives Matter as racist or otherwise offensive, the sign trivialized a movement fighting the use of lethal police force against residents of black communities. 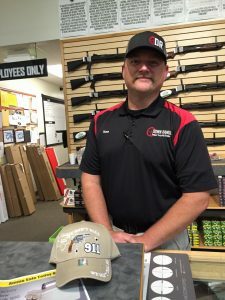 Down Range is co-owned by Dyke and Chico police officer Will Clark, a former president of the Chico Police Officers’ Association. 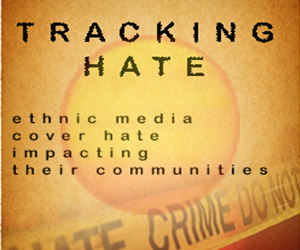 The Documenting Hate database accepts submissions from people who want to report hate crimes or what ProPublica calls “bias incidents” – usually cases of offensive communication targeting race, ethnicity, religion, gender or sexual orientation. Five reports of incidents in Butte County have thus far been submitted to the database since it was established around the time of the 2016 presidential election (see sidebar). The purpose of the database is to help journalists and other researchers look for patterns and trends. In this case, Lin’s submission reflects the argument that racism isn’t always expressed in a direct, conventional way, such as a classic racist slur. The billboard came down shortly after Black Friday, and was replaced by another controversial Down Range billboard that shows Santa Claus holding a semi-automatic assault rifle. “The sign may be down, but if we just drop the issue we kick the can down the road until something horrible happens,” Lin said. 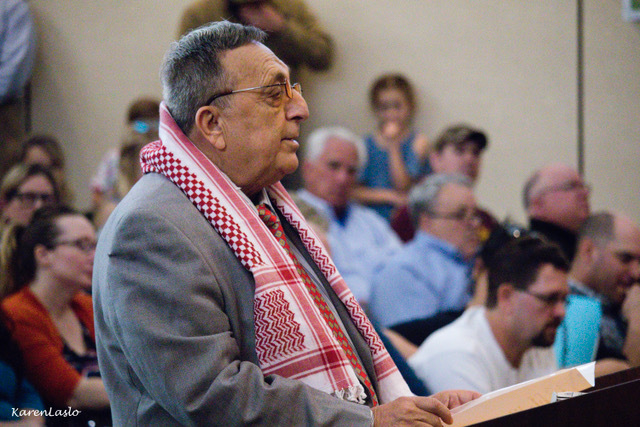 “They can donate the profits they’ve made from their… marketing campaign to Black Lives Matter, or they can be just another example of white people exploiting the work of black people for personal gain,” SURJ wrote in a statement emailed to ChicoSol. “He’s taking information out of context,” Lin said. The Guardian newspaper’s well-known database tracking police shootings, “The Counted,” says that young black men in the United States are far more likely to be killed by police than other Americans. Lin said he can’t speak for Black Lives Matter, but supports the movement “100 percent,” and noted that he had never heard anyone associated with it chant “Kill white people.” In fact, he said, the movement’s “Hands up, don’t shoot” refrain reflects a non-violent strategy that Dyke should support. “I think he has let something that challenges policing institutions threaten him personally,” Lin said. Dyke has been accused of over-reacting and traumatizing citizens on two occasions that have been reported in the press. In August 2016, in a video that went viral, Dyke can be seen taking Nicole Braham, a 19-year-old Chico State freshman at the time, to the roadway after stopping the vehicle she was driving for having a burned-out license plate bulb. Braham was charged by Butte County District Attorney Mike Ramsey with resisting arrest in the incident, but she was recently acquitted by a Superior Court jury. Shortly after the incident, Braham’s roommate at the time, Madeline Hemphill, filed a complaint of retaliation and excessive force against Dyke and other Chico officers. Hemphill, who graduates this month from Chico State, said recently that she’s never received an official response about the complaint from Chico PD. In addition, in 2011, a 30-year Chico family therapist claimed Dyke traumatized him by pointing a gun at his head during a traffic stop. Dyke said he had received about a dozen calls protesting the billboard. But a Chico resident who called to complain about the sign said she was told by the shop that Down Range was getting about 10 complaints a day around Thanksgiving. Is Dyke worried about arming citizens who may use their weapons when threatened instead of calling police? Dyke responded with the controversial words made famous by Wayne LaPierre, National Rifle Association CEO, after the 2012 massacre at Sandy Hook Elementary School in Newton, Conn.
Dyke is a poor excuse for a police officer. What I could find on the web, the City of Chico pays Steve Dyke $121,475.21 in salaries. Not sure how long ago that was but http://publicpay.ca.gov/Reports/PositionDetail.aspx?employeeid=16674941 so expect that figure is low. Officer Dyke dismisses Black Lives Matter by claiming it’s founded on a false narrative that police kill black people indiscriminately. This persistent attitude among such high profile local police officers is strong evidence that the implicit bias behind the well documented tendency of police to disproportionately kill people of color without provocation will not be remedied by ignoring it. It is time to insist on substantial and progressive implicit bias training for police at all levels. Thank you for writing this very important piece. I am shocked by Steve Dyke’s flippant and disrespectful attitude. He feels powerful and doesn’t mind if black Americans (or anyone from his community for that matter) are offended or fear him, it actually feeds into his ego. As police officers their oath cites “to protect the community,” clearly both Dyke and Chico police officer Will Clark, a former president of the Chico Police Officers’ Association take their oath only skin deep, white skin that is. Neither one has a right to tell any black person that what they fear or who they fear is wrong – they don’t live in their skin and I am sure they would never want to. Black Americans feel that the police are a threat and even predators, rather than protectors. Does this help? No, it validates that. If they were truly protectors of the community they would understand how offensive and scary their signs are, one laughs in face of black Americans and the other the innocence of Santa Claus. Both signs are a direct emotional attack on their community; they are propaganda with very ugly and dangerous undertones. So no matter how much Dyke smiles, no matter how much support he receives by his winking friends, he and Clark are wrong, cruel and dishonor their badge. These are policemen responsible for this sign? How unspeakably shocking! 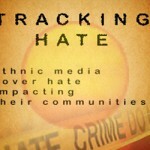 They know very well what thoughts are formed when linking targets with people. I see this as close to horrifying. I don’t think think Dyke and his partner are fit to be policemen for any area, let alone Chico, California. And on top of that, all the money he makes by having the City of Chico pay for private weapons for police officers from their “uniform” fund.